On one hand, it's difficult to talk about Robert Freeman Wexler's prose because it doesn't easily fit most categories. On the other hand, this fresh voice is a welcome reprieve from the typical styles one is acquainted with. And it's not immediately evident how Wexler succeeds in making his prose effective. For example, a good chunk of the novel is exposition, whether it's the setting to the description of the characters. But it's not intrusive or boring and sustains your interest. The effect it produces isn't exactly one where The Painting and the City is an adrenaline-pumping novel, keeping you awake until the wee hours of the morning, but rather it has a hypnotic appeal that's both soothing and disturbing (especially later on in the book). There are actually two narratives here, each one playing off on the other. 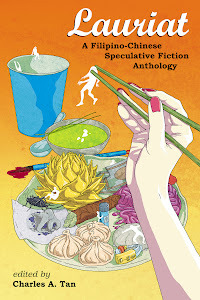 The apparent one is that of Wexler's initial protagonist, artist Jacob Lerner. It is in the Lerner narrative that Wexler reveals his unique tone and most likely whom most readers will sympathize with. The other narrative is the journal of Philip Schuyler and here Wexler employs a more conventional epistolary format. There's a slow build-up to events and whereas the Lerner story is more complacent, the conflict feels more lethal in the Schuyler journals. Two distinct styles are at play here and Wexler competently weaves them both together although Schuyler's could have stood on its own. What I appreciated is how Wexler seeds the theme of his novel and this becomes a recurring topic in the book. It culminates to the pay-off at the end and avoids the one-sidedness of many fictionalized conflicts. There's a distinct agenda to the book and this isn't just a simple get the character from Point A to Point B type of narrative. 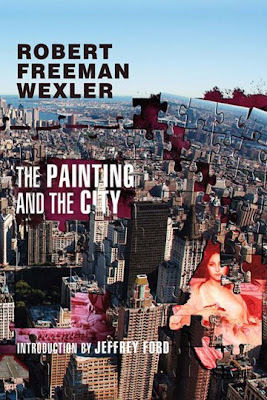 Wexler conjures an unfamiliar but welcome atmosphere as well as combining elements of literary fiction with genre. There's a layer of sophistication and complexity in The Painting and the City but at the same time, one can simply enjoy it on the most basic of levels.